Justice Minister Wynter Kabimba was on Wednesday April 9, 2014 interrogated by police over his connection to the Fourth Republic Party. Kabimba, who is also PF Secretary General, was so shocked and exhausted by the interrogation that when he reached his office, he collapsed. 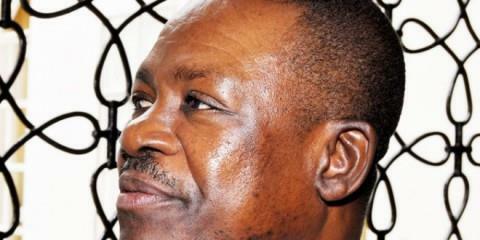 Sources inside PF say that President Michael Sata has now decided to get rid of Kabimba. Sata has resolved that his inherently corrupt son Mulenga should take over as PF and hopefully Republican president. At the police Headquarters, Kabimba was interrogated by senior police officers including Inspector general of police Stella Libongani herself. Sata believes that Kabimba is mobilising money from Sudan and other communist countries for his party Fourth Republic. Kabimba’s connection to the Fourth Republic party was revealed last year when his right handyman Sikwindi Situla was expelled from PF. But Kabimba and Situla have continued building their fall back party in the background. This is not the first time Kabimba is collapsing in public. Sometime in January this year, Kabimba collapsed at State House while waiting to meet Sata. Kabimba who was scheduled and lined up to meet President Michael Sata, suddenly collapsed in the waiting room near the president’s office and was rushed to his vehicle. But when Kabimba came to, he refused to be taken to Hospital and directed his driver to take him to his traditional doctor in Mumbwa. Upon learning of Kabimba’s sudden illness, President Sata with concern, tried to go and see Kabimba at Hospital but was informed that the “patient” was being rushed to Mumbwa. He was rather surprised and is said to have dispatched special-duties-man, Willie Nsanda, who is reported to have later found Kabimba being treated in a hut at his traditional healer. There are rife speculation in political circles about Kabimba’s alleged practice of traditional medicine and charms. Early last year, PF cadres reported to President Sata about Kabimba’s “witch doctor” based in Kalabo. They even offered to take the medicine man to State House.